Egypt is one of the most favorable destinations for the majority of tourists as it has a wide variety of landmarks & attractions in its gorgeous cities. If you want to spend your vacation in Egypt to visit its marvelous tourist sites, here are some of Egypt travel tips you have to know in order to guarantee that you have the best possible holiday in the land of Pharaohs. 1- In case you wanted to travel to Egypt as a Solo Traveler, you can let the receptionist of your hotel pick a taxi for you as in hotels; they have assigned taxis with professional drivers. If you have to go with a random taxi driver, you need to know the exact location of the place you are going to with the legible direction of the taxi. 2-If it is the first time for you to visit Egypt then it will be a very benedictional matter to know the best-recommended restaurants with the different types of food so that if you are a vegetarian or a one who needs his food to be lack out of gluten and so on. In Egypt, there are hundreds if not thousands of different restaurants in Egypt, offering all types of Egyptian food so you don’t have to worry about that point, the only thing that really matters is your choice. 3- It is highly recommended not to drink from the tap water and you should buy mineral water instead as it is cheap & plentiful. 4- You have to take care of yourself while crossing busy streets like Cairo. 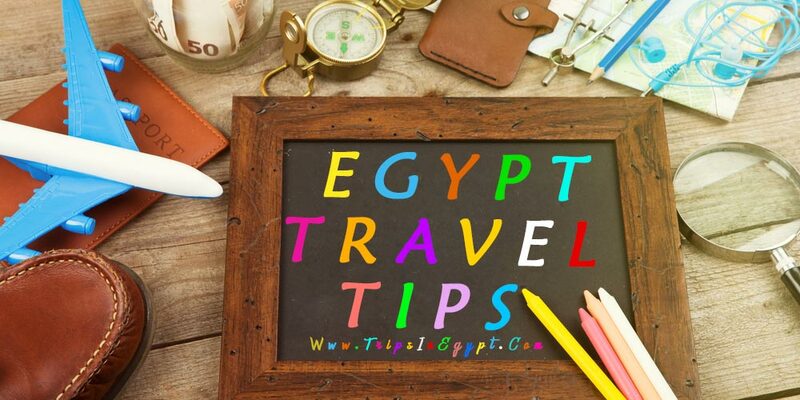 5- To be able to tour in any part of Egypt, you should ask the receptionist of the help desk to help you in such a matter as they know everything about the best travel companies, tour guides, drivers, private A.C vehicles companies, etc. 6- After booking with a travel agency, you’ll have to check the inclusions & exclusions of your tour so that you see what is the major trip price includes just like domestic flights, breakfast & lunch meals, private A.C vehicles, private tour guides, and so just like the itineraries of “Trips in Egypt”, which shows all the inclusions of your trip. 7- Tipping is not obligatory in Egypt at all and that is why, feel free to do it or not, no one has the right to force you to do something against your will. 8- While being in a group excursion and if you felt that the tour guide is in a rush or you don’t have enough time to do the tours, contact with the travel agency right away to inform them with your complaint and they’ll fix the problem at the same time. 9- You need to know all about the weather in Egypt and what the best time to visit Egypt is. It is generally the period between October & April. The weather during such a period is so pleasant and cool. 10- You need to bring some personal items of your own that you may not find in Egypt including your medicine with prescriptions from your doctor. That is not all as you’ll need to have your suitable clothes “according to the time you’re visiting Egypt in” in addition to your sunglasses, sun block, hat, hiking boots, wheelchair, and the other items that may look important to you. 11- The most common question to be asked among tourists is: Is Egypt a safe country?? The answer to such a question will be; Egypt is a major tourist destination in the world because it is rich with its incredible landmarks & attractions and that is why the Egyptian government is doing its best to provide tourists who come to spend their vacation in Egypt with all of what they need from services and they also try to provide them with a secure atmosphere to ensure that nothing dangerous happened to them. 12- Egypt is a very suitable family destination to spend your holiday in as there are places for families, parks for children, lovely sites to spend your time with your family is away from crowd places and noisy sites. 13- Egypt is known for its fanciful Nile cruise packages that can be your best chance to visit all of the tiptop attractions in Luxor & Aswan. 14- Don’t forget your camera with you as it will be so important during your tours in order to take memorable photos while visiting Egypt’s Highlights. 15- If you have a tour to Abu Simbel, don’t forget to ask for a breakfast box as the tour from Aswan starts early in the morning. The majority of Hotels in Egypt offer such a service. 16- Don’t carry a lot of cash with you and it is much better to use your credit card which is acceptable in most of Egypt’s destinations. 17- Put in mind that Internet connection is available in Egypt and you will have access to all of your accounts at the moment that you reach Egypt. 18- You travel agency should supply you with a SIM card to be able to communicate with your tour guide in case you get lost or even to call a taxi whenever you have a need to. 19- In Egypt, there are different public transportation just like planes, cars, trains, taxis, Nile Cruises, and other vehicles. Arrange with your travel agency the best way of transportation so that you don’t get tired at all or face difficulty. You have to know that the Egyptian pound is the main currency in Egypt that is referred to as “LE” which is an abbreviation for “Livre Egyptienne”. One dollar equals 17,5 Egyptian pound and this amount may change between a day and another and that is why you always have to check the value of dollar within the Egyptian pound to make sure that everything will be fine with you and you know the exact price of the items you want to buy. 1- You have the ability to use your Visa, MasterCard, American Express, all Euro cards, and JCB in different shops & hotels instead of carrying cash with you. 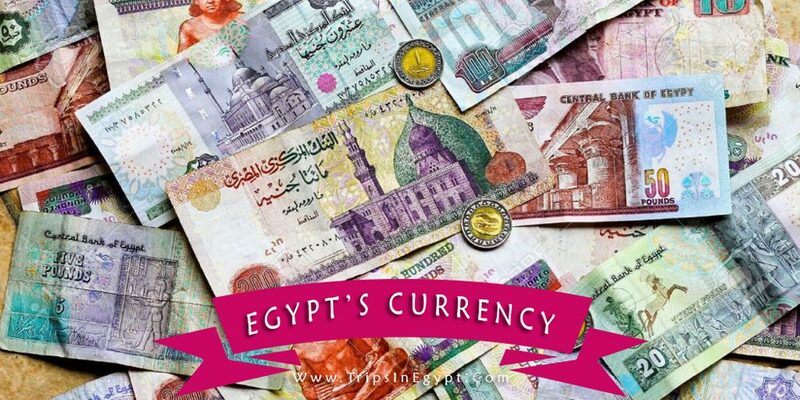 2- In order to convert your money, it is much better to do this in Egypt as the value will be much higher and you can convert your currency in USD, GBP, or Euro, as they are acceptable in the majority of Egypt’s shops, stores, markets, and hotels. 3- In case that you went out of money, you’ll still be able to get money wired from abroad as there are various Western Union branches in Egypt and the whole proves will take only minutes. Choosing the right travel agency can be the best decision you will ever do before traveling to Egypt. Your travel agency will be the one that is going to be responsible for your hotel accommodations, the choice of your Nile Cruise to tour between Luxor & Aswan, your drivers, your restaurants, and everything related to your tour. Check the reviews of tourists who joined the travel agency that you want to use first before the booking and read carefully their policy of payment, how to get in touch in them, and so on. “Trips in Egypt” offers you the ability to revise its customers’ reviews on TripAdvisor and also to customize your own tour based on what you actually want to see & visit. You are so welcomed to visit Egypt any time you get a chance to and to ensure that you get your dream adventure, contact “Trips in Egypt”, the most qualifies travel agency that always looks for your comfort through its Egypt travel packages or its Egypt Nile Cruises.